Well goodness, I think the heat has finally broken for a few months. We’ve had several days in a row that didn’t reach 90F and that makes me hopeful. 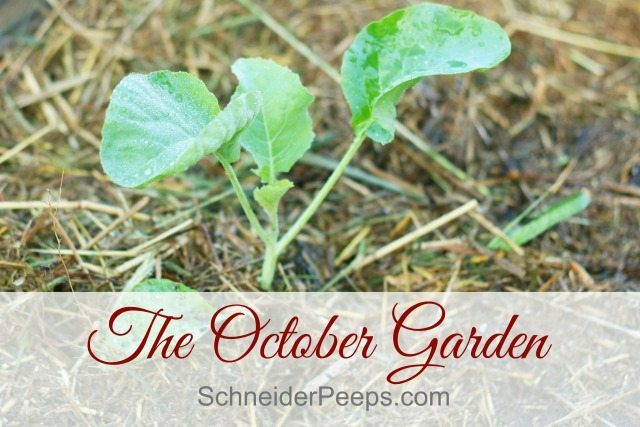 We’ve spent some time cleaning out the summer garden and weeding, weeding, weeding the October garden. I feel like we’re a little late this year in getting our fall/winter garden in. 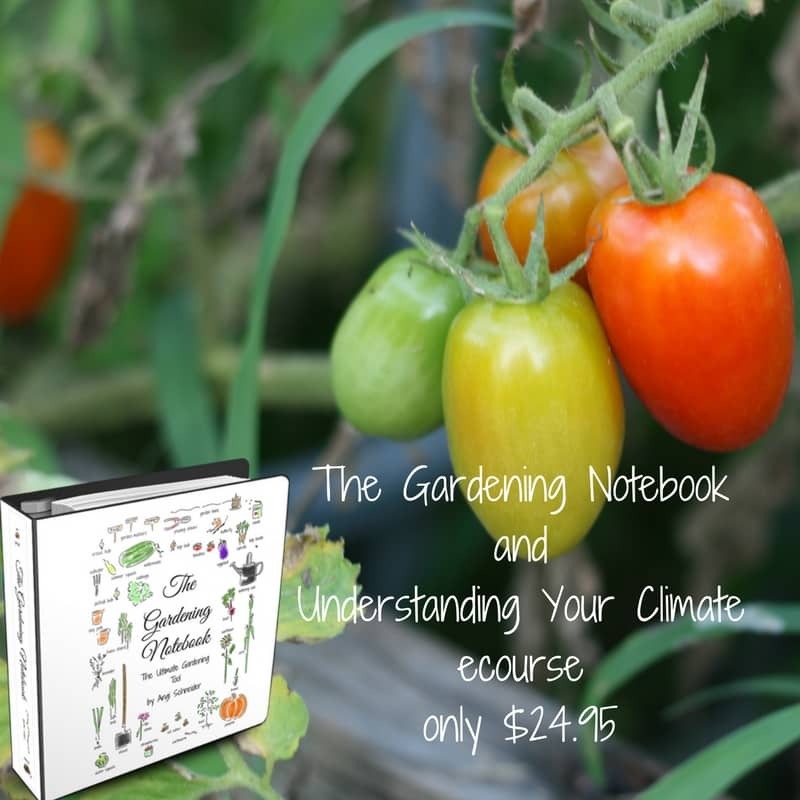 It’s been so hot and we didn’t have our normal week of October rain which is when I normal sow a bunch of seeds. But we still have some pretty cool things happening in our garden right now. Like our crazy fig tree that still has figs ripening on it. Most of the fig trees around here are harvested in early July. I’ve been learning about this Brown Turkey Variety (and some other varieties) and apparently fig trees can produce twice in one season. I’m still learning about them and sorting it all out. 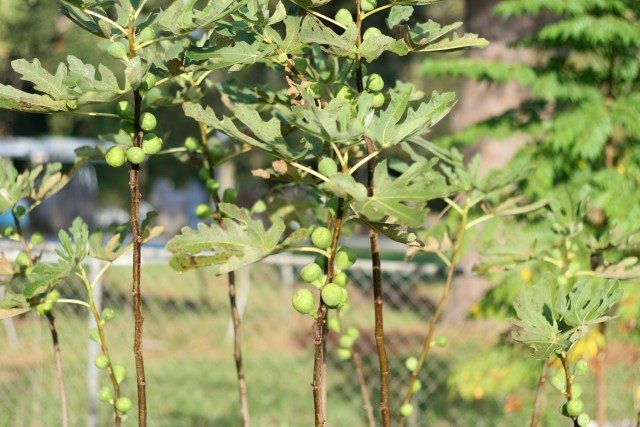 I’ll share about growing figs once I get it figured out. Our citrus trees are doing really well this year. I’m so very happy about that. Of course, our mature lemon tree is full of lemons. 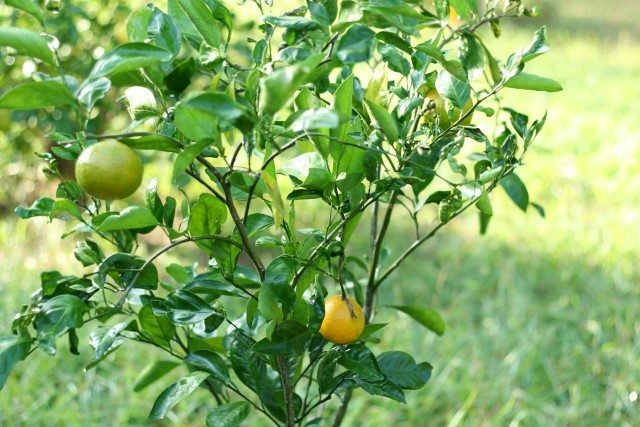 Our young lemon tree, key lime tree and satsuma orange tree are producing for the first time. I’m intrigued by the limes as they are yellow. When I buy key limes at the store, they’re green but ours are turning yellow and falling off the tree. Each morning we go out and pick up the ones that fell and any loose ones on the tree. 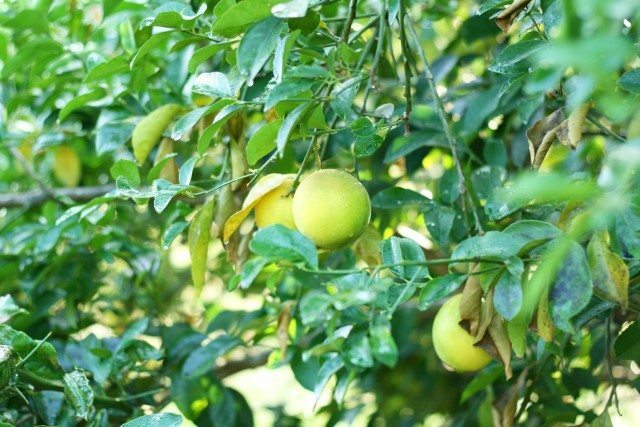 Our grapefruit tree and polmello tree are doing well but are young and not yet producing. I’m just happy they’re alive and looking good. Now that the heat has broken, our green beans have made a comeback. 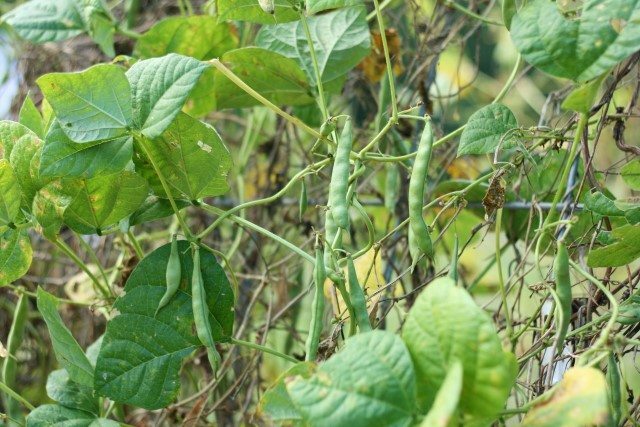 It’s super exciting to be able to out to the garden to pick green beans for supper a couple of times a week. We’re still picking basil and making pesto. Every summer I think I won’t preserve enough pesto for the year, and then every fall basil is the one crop that survives the dead of summer and is still being harvested in the fall. Such a delight. 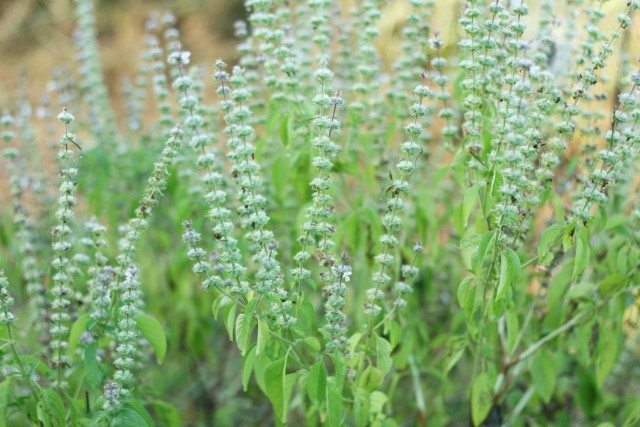 A lot of our basil is going to seed and we just let it because the bees love it! On a whim, I picked up some summer squash starts at the beginning of the month. I planted ten…and something ate eight of them. One day they were all there, and the next day there was only two, and not a trace of the others. Here’s to hoping the two produce before we get a freeze. 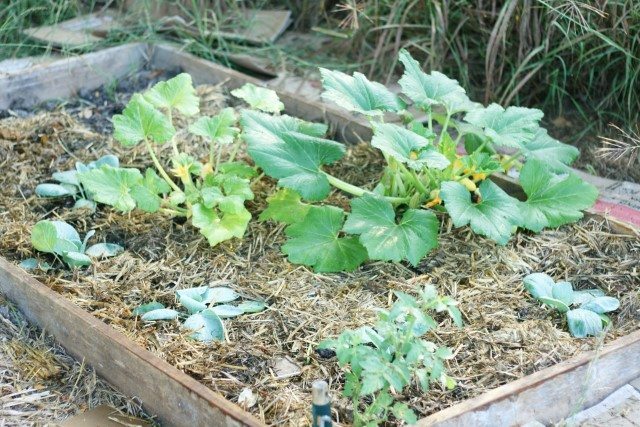 But just in case, I went ahead and planted some cabbage in the bed also. Oh, and I sneaked in a cherry tomato plant in the corner. This will be the one thing I’ll make a point to cover if we get frost. We have one lone kale plant and one lone beet in the kale/chard/beet bed. I’ve sowed more seeds so we should have more soon. We’re going to call it succession planting….not crop failure ;-). We’ve been laying cardboard and wood chips in the walkways. It’s slow going but one day it will be complete. 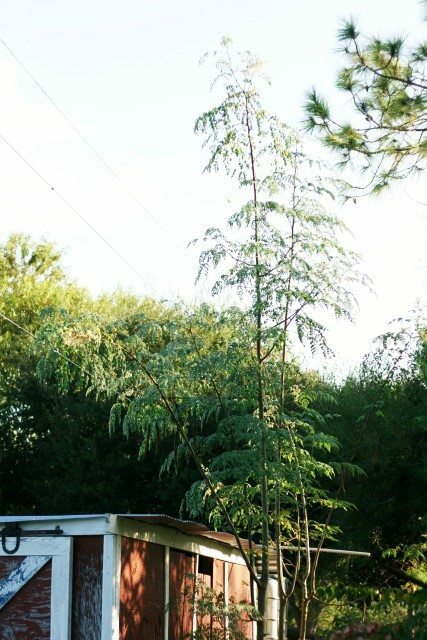 The moringa trees are huge – they’re about 20′ tall! And they flowered and set seed and are now flowering again. The problem is (there’s always a problem in my garden, isn’t there?) that around the garden shed and to the moringa trees the grass is chest high. 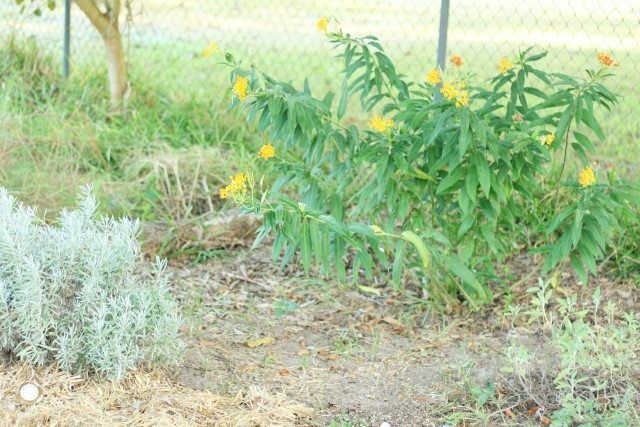 Not a huge problem but given the fact that we have a 5′ rat snake that lives in our garden shed, wading through those chest high weeds to harvest moringa is not at the top of my priority list. I’m waiting patiently for a teenage boy to weed wack a pathway for me. I’d hate to accidentally step on our pest controller. Some of our tomato plants that we haven’t pulled out from the summer have made a comeback. These are all heirloom plants and they didn’t produce well in the summer. 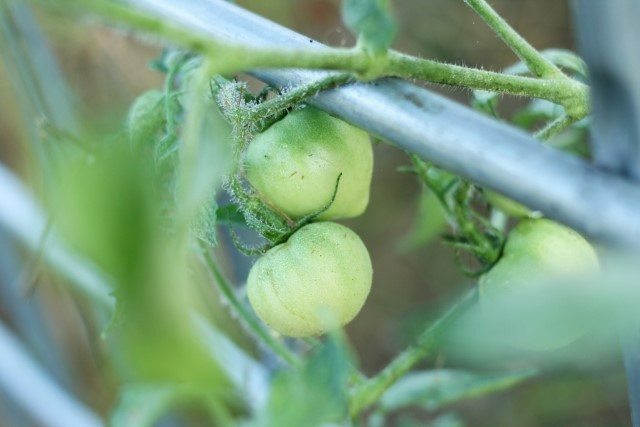 But they survived until the fall with very little care, where as the hybrid tomatoes didn’t. I’m not sure what to do with that information but I’m trying to figure out what it means for us. 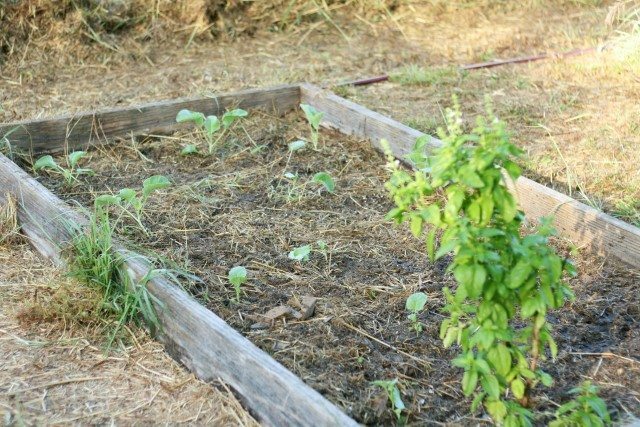 We planted a few broccoli and cauliflower transplants last weekend. 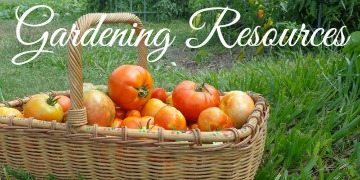 We’ll also sow some seeds next week. This will give us a longer harvest. The herb garden is doing okay and all the herbs that are still in it should survive our winter. The lavender didn’t flower and I wonder if it’s not getting enough sun. 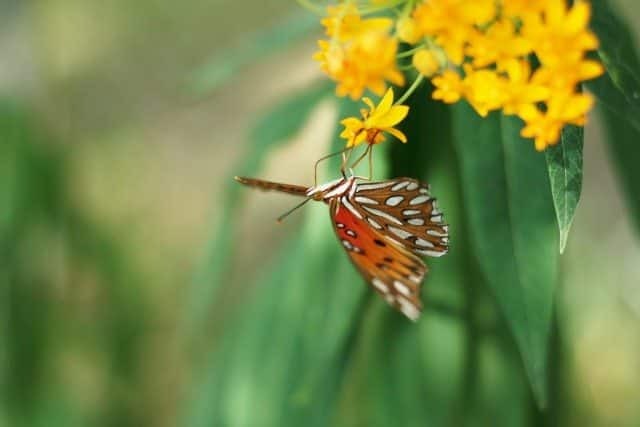 The milkweed is so beautiful and I’ve decided to plant many more around the property. Esther (our 7 year old) took this photo while we were working in the garden. We’ve had a lot of monarch visit this little plant on their way south. We hope they stop back by in the spring and lay eggs so we can see the whole metamorphosis. So, we have this grape arbor with four grape vines on it. Two produced sour grapes this summer…they were supposed to be table grapes. I was surprised to see more grapes on one of the vines that already produced. 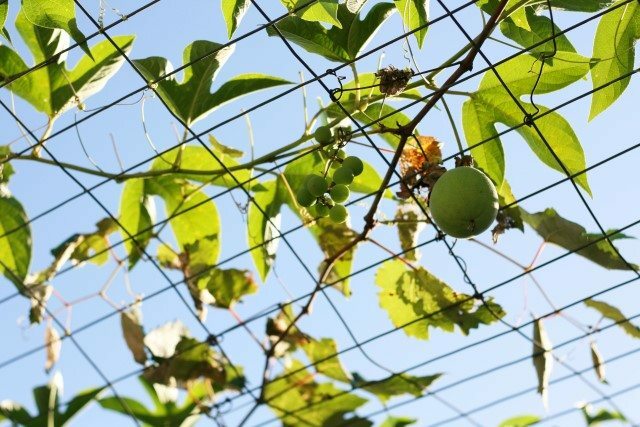 I was also surprised to see a passion fruit plant growing and producing right next to the grape vines. I’ve never had passion fruit and I’m excited to try it. 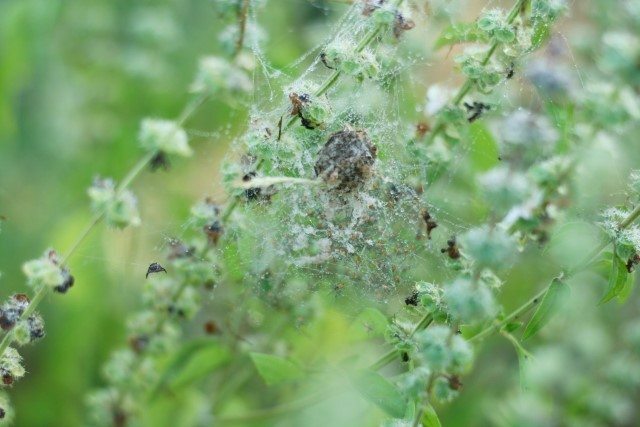 Not only do the bees love the basil flowers but a garden spider laid her egg sac among them and the spiders just hatched. If you look close you can see little orange dots in the webbing, those are hundreds of baby spiders! 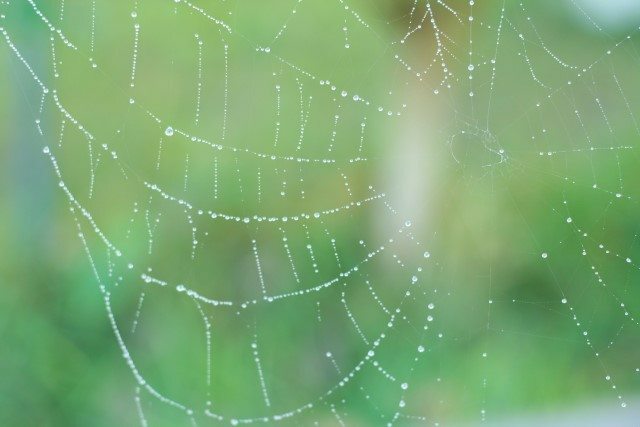 One of the things I love about the October garden is that each morning there is fog and dew all over. This spider web was hanging from a low branch on the mulberry tree this morning. I just couldn’t resist sharing. We still have carrots, onions, garlic, lettuce and spinach to plant. 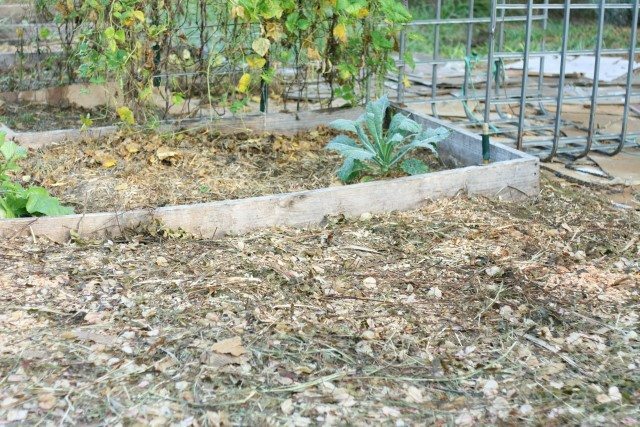 My main garden goal this winter is to get some drip irrigation or other irrigation set up in the garden and hopefully around the fruit trees. 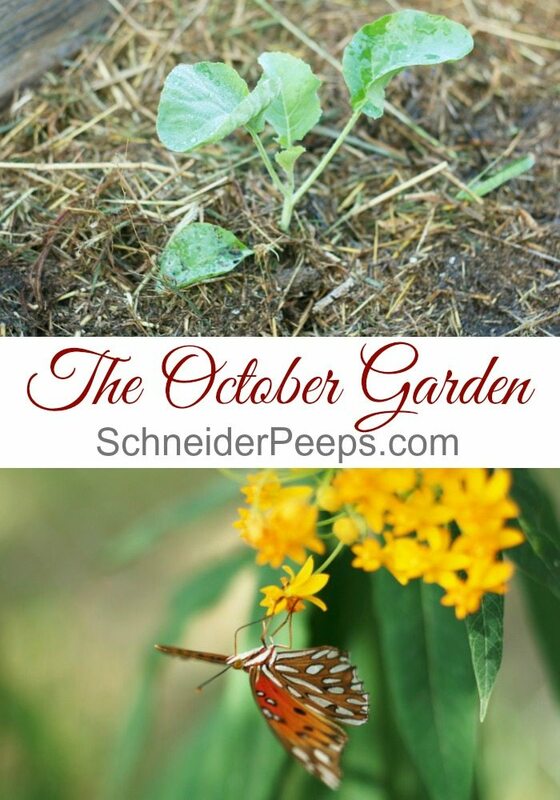 What’s going on in your October garden? Your morninga will be 20′ before you know it. They are amazing! 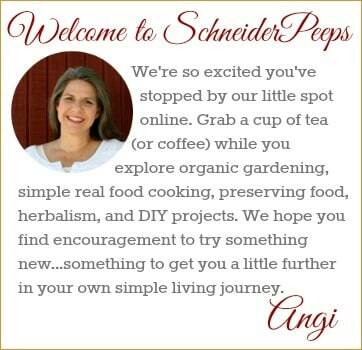 Do you have any theories on why your lavender didn’t bloom? I’ve tried growing lavender before and it would always burn up in the summer so I decided to give this one a bit of shade. I’m wondering if it’s getting to much.